10 Games, 11 Days… Here We Go Oakland! 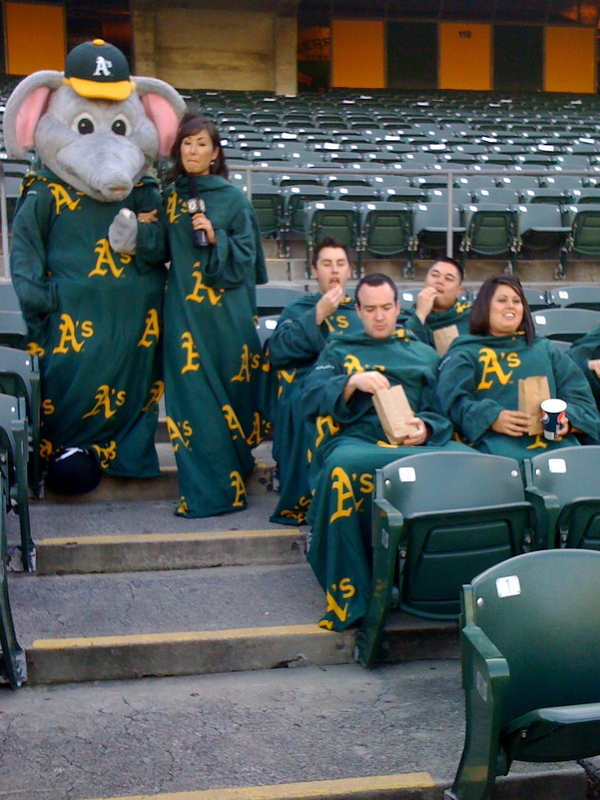 Fans, tonight kicks off a long homestand, and we need you at the Coliseum to rally on our boys in green and gold. The A’s return from the road with a 6-4 record, and while they’re still hanging on to 1st place in the AL West, it’d be nice to cushion our lead. We kick off the 4-game Baltimore Orioles series tonight with an awesome giveaway: the “Sluggie.” Yup, these are those cheesy things you see advertised on late-night TV, but this one looks somewhat more stylish with the A’s motif scattered about. I had my misgivings when trying the thing on, but I have to say, it sure was warm and comfortable! 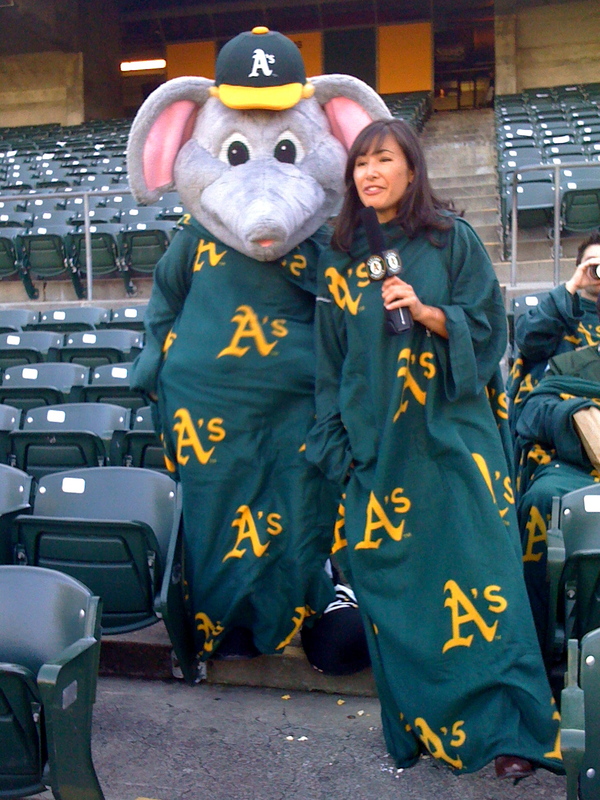 And if you’re not totally digging the open-back, hospital gown style, it can still be used as a large blanket. 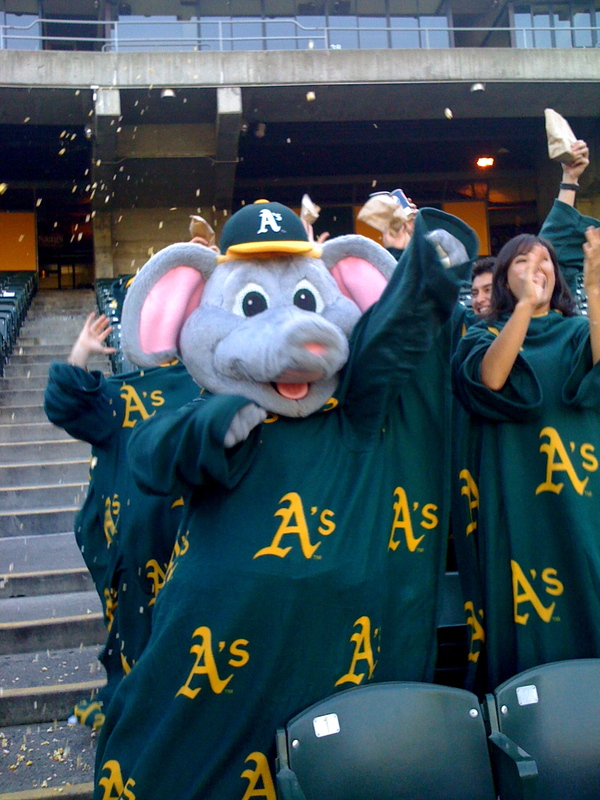 Be sure to be one of the first 10,000 fans through the gates tonight and you’ll receive your very own fleece Sluggie. 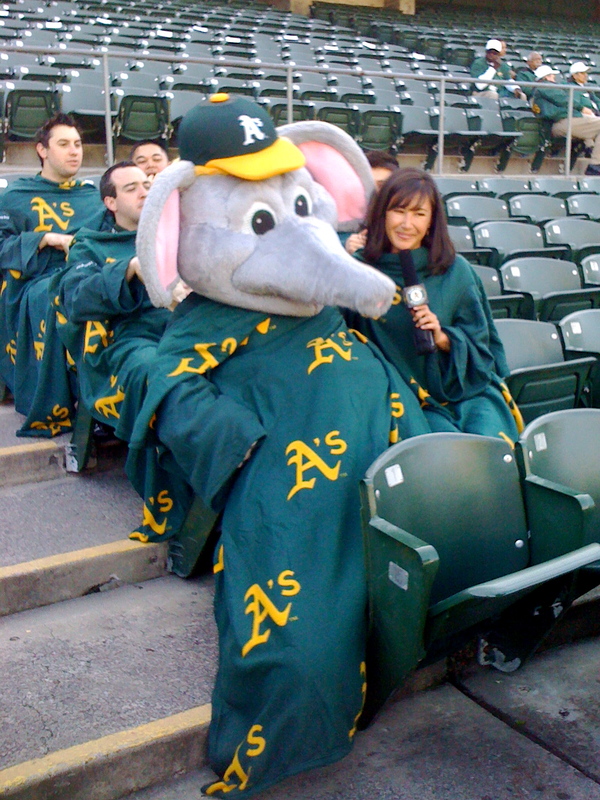 Check out these photos from a promotional video shoot with Stomper and the Herd and note how easily Stomper fits into his Sluggie! See you at the game tonight, fans. And then again next week for the New York Yankees and Cleveland Indians. Let’s Go Oakland!